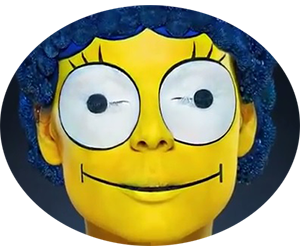 rubbercat.net/simpsons is proud to be the premiere web-site about The Simpson's</i> on theWorld Wide Web. Whether you are newcomer to the show or a old disgruntled verteran we hope you are satisfied with your visit and will come back again soon in the future. 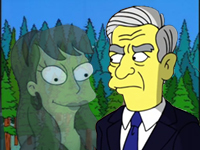 Hours after submitting his famous report, FBI agent Robert Mueller (guest voice David Lynch) is called to the small town of Springfield to investigate the murder of Laura Powers.